The Students of Concern Care Team intervenes to provide support for students who raise concern about their potential for harm to themselves or others. The Care Team will assess the potential risk to personal and campus safety that might result from the actions of individual students, will connect students in need with appropriate resources and will monitor compliance with required support plans. (3.) to prevent possible harm by recommending appropriate action to either assist an individual in fulfilling their obligations as a student or to remove an individual student from the campus community. The committee is led by Sarah M. Young, Dean of Students, and its proceedings are confidential. If you feel you need further and more immediate attention, please complete the On Line Report Form. 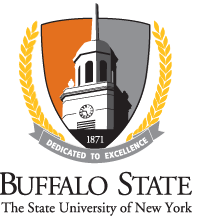 Please be sure to use proper Buffalo State College logon format. Failure to use the proper format will prevent the online reporting form from being accessed.